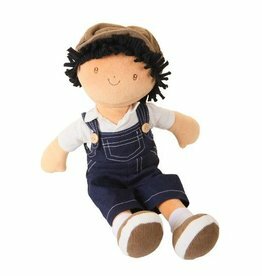 Bonikka - Grow Children's Boutique Ltd.
Our collection of beautifully handcrafted rag dolls is created around the concept of family —the bond that ties us together, and through which a special kind of love and responsibility are expressed. Each Bonikka™ doll is a friend, waiting to be adopted by a special child, and is ready to take on the nature and personality that a child most desires. 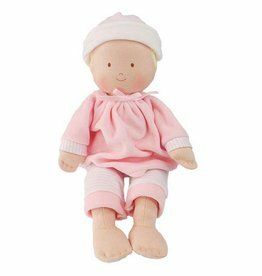 This adorable all-natural Pink Cherub Baby Doll features a soft head and huggable, cuddly body. 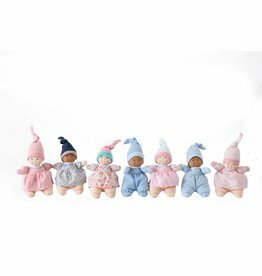 These stunning Bonikka mini dolls will make the perfect baby shower keepsake gift! 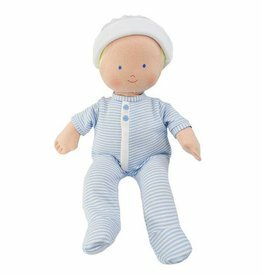 This all-natural Blue Cherub Baby Doll features a sweet hand-painted face, a soft plush head, and an inviting, snuggly body. Meet the fun and loveable Joe Bonikka doll. 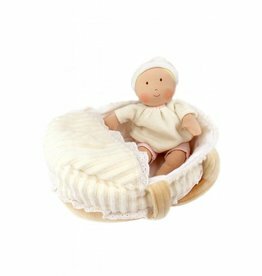 Ideal for a young child's first baby, this all natural baby doll features a soft head and soft huggable baby.